A decorative decal of a drawing by Freepik. A design where you can a very attractive young lady with tattoos in a bikini from the 50s. A vinyl sticker to give your wall a sense of style and fashion! 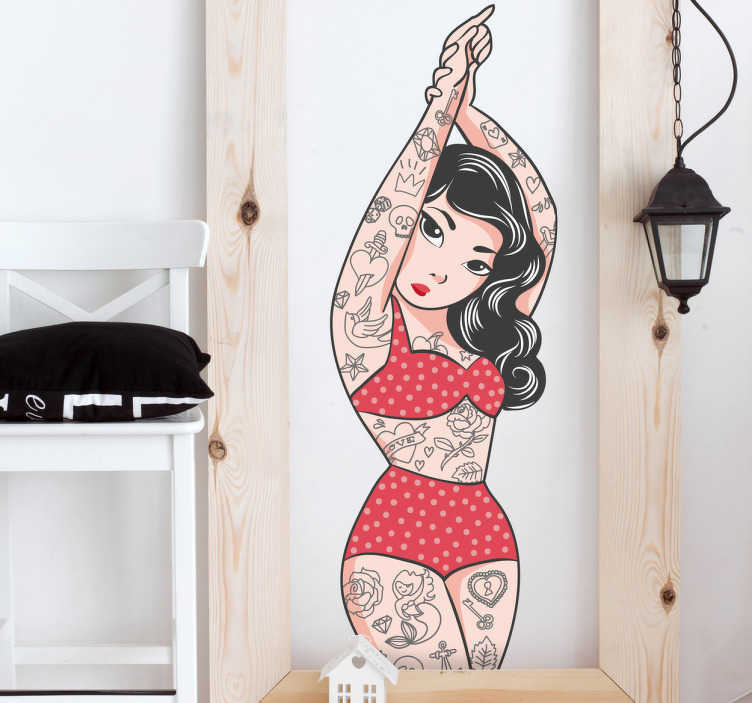 This original decal will create a fantastic atmosphere at home especially if you love tattoos!